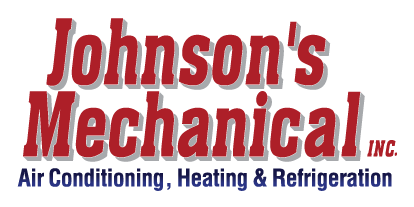 Cooler Repair, Auburndale, FL | Johnson's Mechanical Inc. Cooler Repair, Auburndale, FL | Johnson's Mechanical Inc.
We provide quick, reliable cooler repair in Auburndale 24 hours a day. When your cooler goes out, things can go bad fast! This is why we provide 24-hour emergency service to help with your cooling repair needs in Auburndale, Florida. Temperature regulation is important for every home and business. We know that cooling problems can compromise products and belongings you care about. At Johnson’s Mechanical Inc., we are here to help when you need us. Our technicians are reliable and well-trained. The professional technician we send to conduct cooler repair at your home or business in Auburndale will be knowledgeable and efficient. We pride ourselves on the quality service we provide for each customer. We have been in business since 1982, so we have the knowledge and experience needed to conduct cooler repair quickly and efficiently. Our high-quality services are available for emergency situations, as well as routine maintenance. We know the best way to avoid cooling problems is to ensure consistent cooling maintenance. To avoid emergency situations, we also offer regular cooler repair and maintenance. We offer many maintenance packages to ensure your cooler functions well over time. We are happy to work with you to develop a maintenance plan to keep your cooler in pristine condition. If you are in need of cooler repair, contact us! We are pleased to provide top-quality service to clients throughout Auburndale. Whether you are looking for cooler maintenance or you are in need of emergency cooler repair, we are here to help. Contact us today to learn more about our products and services.